Real world, relevant ideas and concepts that will elevate you and your sales team to the next level. Attending an EcSell coaching event will not only give you a fresh, new approach on sales coaching, but also actionable plans that you can start implementing immediately to reach peak performance levels and increase sales. Whether it is one of our Sales Management Academies or our annual Sales Coaching Summit, you can expect new sales management best practices, the latest in leadership behaviors and innovative coaching techniques. April 15, 2019 I Charlotte, NC I This one-day event provides managers, coaches and leaders with practical information, best practices and tools they need to become high-growth, effective coaches. In spite of the importance your role plays, you’ve probably never received formal education on how to coach, lead, manage or develop the skills of your team members. Maybe you’ve experienced a training event your company put on, but this academy is much more than that. It’s an event that will teach you new management processes, disciplines and best practices through hands-on learning opportunities using real world examples to ensure that you leave equipped to achieve your most important goal - exceed your sales number! If you are directly responsible for the coaching, development and performance of sales producers OR if your responsibilities are dependent on the performance of front-line sales managers then yes, this event is more than just right for you. It’s perfect. This is an interactive workshop experience where we will use videos, role play, various exercises and group work to ensure your learning is engaging and you are able to put the best practices into action immediately. The relationship between effective coaching and sales results. The coaching activities that are most related to increased sales performance based off of 75,000 coaching interactions in the workplace. What the ideal coaching frequency is of those activities. Best practices on how to improve the quality of the coaching activities. Also expect to make new connections with others in your role facing the same conflicts in their day-to-day lives. This is an invaluable event full of high performers you’ll want to keep in touch with long after the event concludes. April 16-17, 2019 I Charlotte, NC I Sales leaders from across the world will gather to learn about how to apply the latest fact based solutions that propel individuals and teams to the highest levels of performance. The ability to effectively coach is no longer “nice to have” but a “must have skill” needed by all sales leaders, managers or coaches to consistently grow revenue. So if you want to grow revenue and you believe that nothing impacts performance more than the a coach’s ability to grow, develop and lead the people on their team/s, then you should attend. Surprisingly, it’s not just people in the “sales” arena, but leaders from across the world who are looking for ways to grow themselves first in order to impact those on their team, their business and their career. Becoming a high performing leader, coach or manager is universal and cuts across all industries, company sizes and countries. If this all sounds intriguing to you, then you should attend. What should I expect from attending? A stack of business cards and theoretical concepts you have no idea how you’re going to implement when you get back to the office…...just kidding. This event is everything but that and instead guarantees an experience like none other out there. You should expect world-renowned presenters who will present on data and research-based topics in areas such as psychology, team performance, development, and so much more. You will leave with an understanding of how top performers become top performers and how you can take the proper steps to become one too. Our attendees don't just attend an EcSell Institute coaching event once, but instead repeatedly return after being highly satisfied with their experience year after year. "I really liked the actionable items that came out of the Summit presentations and was able to take something away from almost every presentation. It was a very profound experience and enjoyed meeting people who have the same management issues I do. I really look forward to coming again!" "Honestly, I was a wet rag by the end of the program. You guys educated but more importantly you challenged and inspired. I am a better person for having spent time with you. Thank you so very much! I will be back!" "Each time I attend, the amount of executable, timely things I can use by me and my team is amazing." View the cost of these events as an investment on growth (rather than an expense) of the individuals who have the biggest impact on how much gets sold: the sales leader. 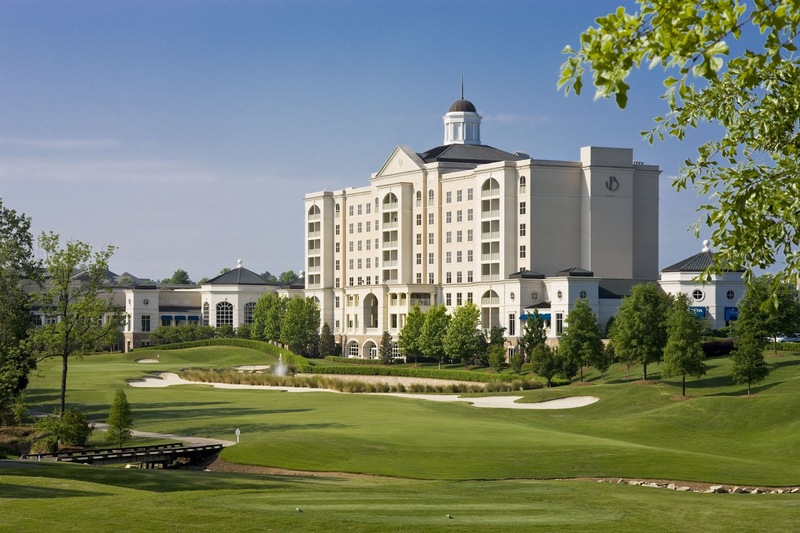 We are excited to return to the Ballantyne hotel which is located within nine miles of SouthPark and Carowinds and within 18 miles of Uptown Charlotte and Charlotte Douglas International Airport. All event meetings will take place at the luxury collection hotel. Book your rooms after you register for either or both coaching events. Academy or Summit registration investment does not include your stay. Investment includes all breakfasts, lunches, and refreshments served during the Sales Coaching Academy and/or Summit, as well as all materials distributed during the event. Following registration, you will receive a link to make hotel reservations if you choose to stay at The Hutton Hotel.